Looking for a feeder that will supply plenty of seed but is low maintenance? Then our Garden Birdfeeders are your answer. 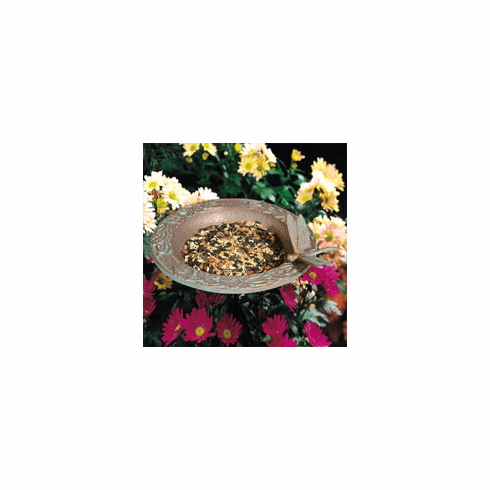 These birdfeeders are ideal for placing in your garden, mulch bed or, in the ground under your window for some easy birdwatching. Each Garden Birdfeeder includes a 17" stake so you can plant it securely in the ground. The Garden Birdfeeders only come in Copper Verdi (a greenish copper color) to give it a more natural look.